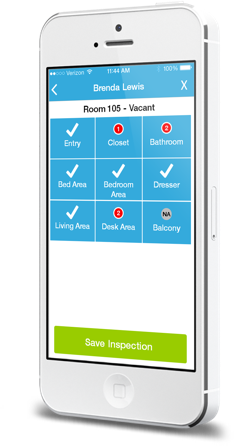 The most efficient way to inspect, monitor and improve housekeeping performance. 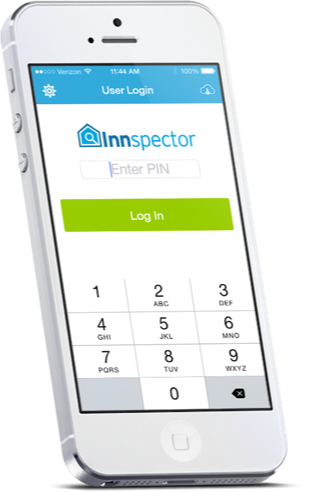 Innspector runs on a mobile device and transmits inspections using your hotel’s wifi. And since everything is saved to the cloud, your information is accessible from anywhere. "Within a few months of using Innspector, our GEI in cleanliness has improved from 3 points below brand average to 2 points above." Just tap through the checklist, click save and you’re done! No forms to fill out, no records to file and no data entry required. Inspections are instant, efficient and completely paperless. Attach photos and comments for additional documentation. No generic forms or standard templates. We help you build your checklist from scratch, one line at a time, based on the items you want inspected and the point values you assign. 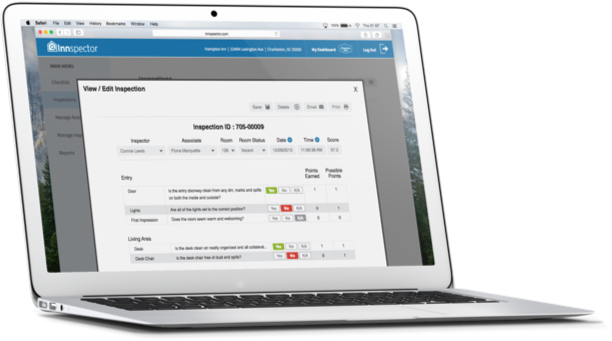 Inspections are saved to the cloud and actionable reports are instantly available online. From ranking reports to performance reviews, it’s all done for you and it’s all just a click away. For added convenience, your favorite reports can be emailed to you on a set schedule - no login required. 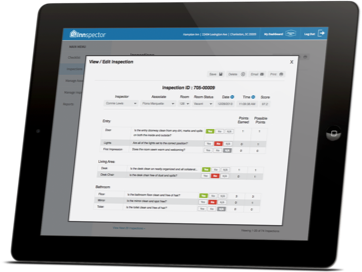 Innspector’s reports make it easy to provide consistent feedback to your team which leads to better performance and increased satisfaction. Put Innspector to work at your hotel today. Thank you for contacting Innspector. Someone will contact you shortly. We appreciate your interest and look forward to answering any questions you may have. Contact us to set up your Innspector account today. Already have an Innspector account? Sign in here. Login to view your Innspector statistics and management controls. Don't have a Innspector account? Thank you for your interest in Innspector. We will be in touch with you quickly!